Ke Kailani oceanfront community offers a unique design-build opportunity within the highly desirable Mauna Lani Resort, on Hawaii Island’s Kohala Coast. Elevated parcels with stunning views are priced lower than any other oceanfront and oceanview properties in the area. 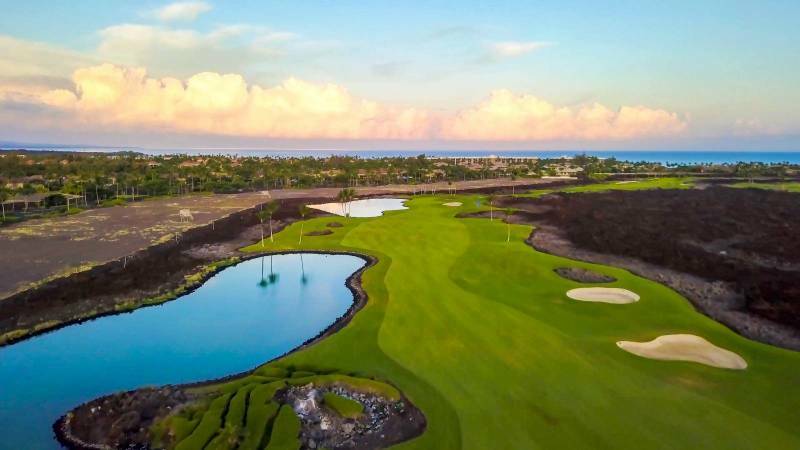 Featuring fully graded lots ready for immediate development, complete with utilities installed to every project site, this distinctive resort community features some highly desirable Hawaii Island real estate. In addition to state-of-the-art facilities and recreation on-site, Ke Kailani’s oceanfront community also enjoys privileged access to the full range of premier amenities at Mauna Lani Resort, just 5 minutes away. 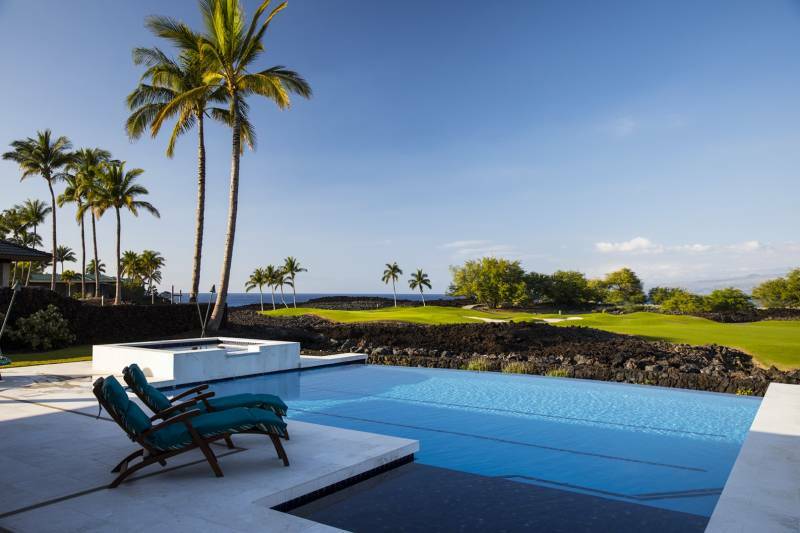 Through the Mauna Lani Advantage Club membership, Ke Kailani offers all the lifestyle offerings that real estate buyers are looking for: fine dining, spas, tennis facilities, two championship golf courses, boutique shopping, and more. A dramatic aerial view of Ke Kailani custom design-build sites. Four premium oceanfront lots are positioned next to the development’s state-of-the art facilities at The Grotto, perched at the edge of Ke Kailani’s dramatic shoreline. Oceanfront parcels afford sweeping Pacific and coastline views. All Ke Kailani residents and guests will enjoy exclusive use of The Grotto, a community gathering place that features a spectacular infinity pool, two whirlpool spas, and two open-air entertainment pavilions. 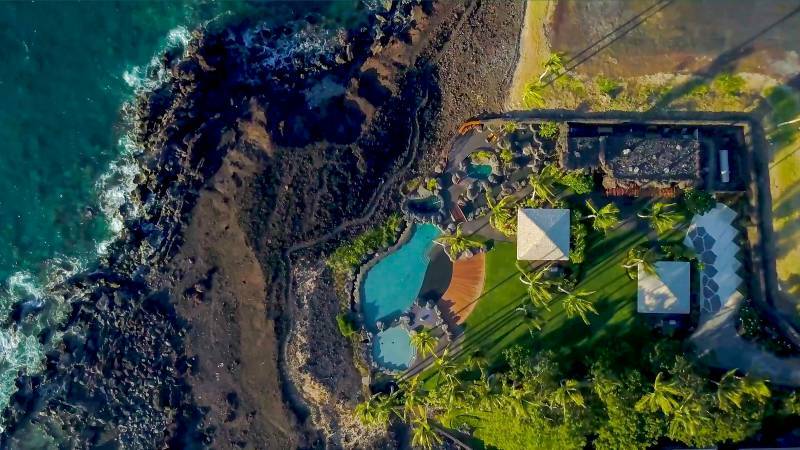 The Grotto, including pavilions, infinity pool and spas at Ke Kailani oceanfront community. One of just four premier oceanfront parcels, Lot 2 is over an acre of land area with approx. 136 linear feet of ocean frontage. Lot 1 is also more than an acre of ocean front land. Both oceanfront lots are graded to pad and ready to build on. Located adjacent to The Grotto, both sites enjoy panoramic ocean and mountain views. Apart from the four oceanfront lots, there are two distinct sections within the Ke Kailani community. Gorgeous, elevated, golf course adjacent pad sites afford unique and valuable ocean views. 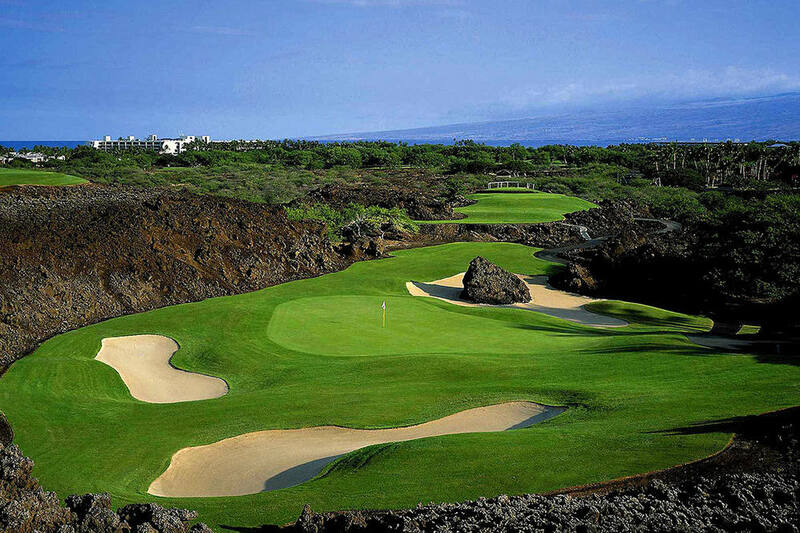 Curved gently around the championship South Course of Mauna Lani Resort, these ocean view sites benefit from natural buffers and varied elevations that further enhance both view planes and privacy. 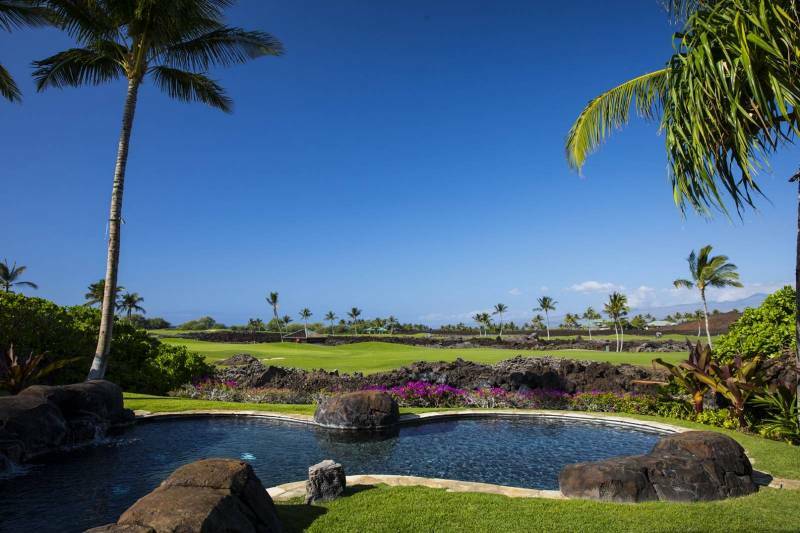 A developed Ke Kailani custom home features views of the deep blue of the Pacific and the undulating green fairways of Mauna Lani’s South Course. At the highest elevations at Ke Kailani, a select group of sites enjoy direct access to Ke Kailani’s private Hana Pono Park. Exclusive to Ke Kailani residents, Hana Pono Park is a spacious, 5.5-acre recreation area with a state-of-the-art fitness center, adult and kids’ swimming pools, a barbecue area, and a Gathering Hale (pavilion) used for big screen entertainment and private conferences. With winding walking paths to the waterfront, these rear parcels are as high as 62 feet above sea level, affording unique views of the Pacific and the slopes of Hawaii Island peaks. 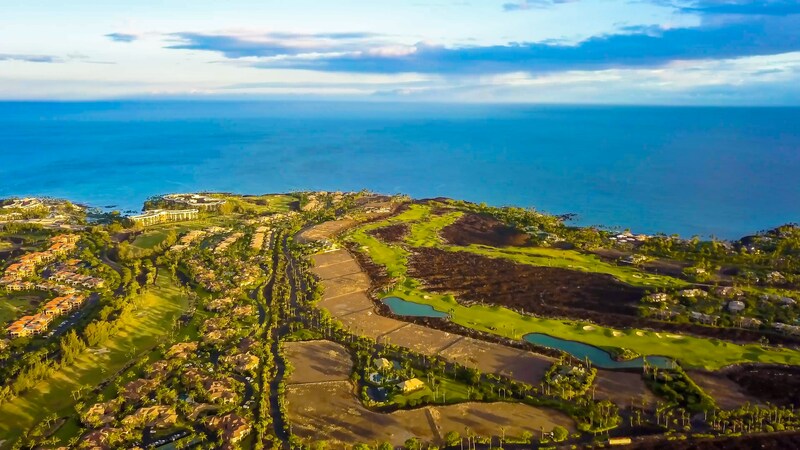 Whether you’re an owner builder looking for the perfect setting on the peaceful southern side of Mauna Lani Resort, or a spec builder looking for a wonderful locale for your next project site, Ke Kailani presents one of the last opportunities to build within Mauna Lani Resort. 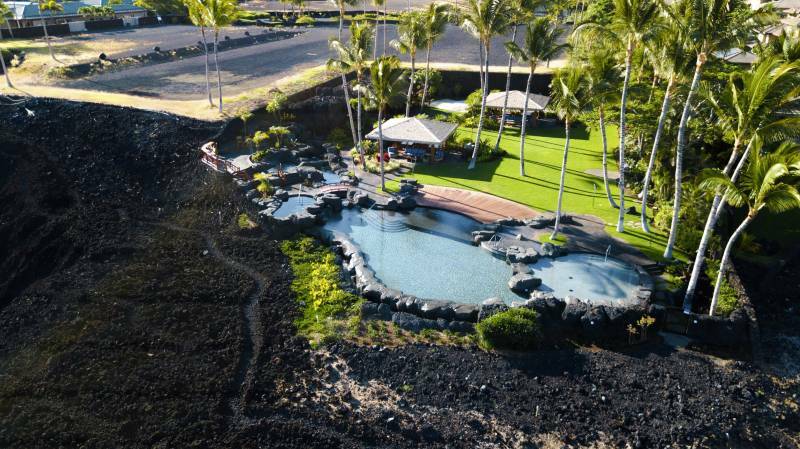 The community has privileged access to all of the highly sought-after resort lifestyle amenities that buyers are looking for, in a private, gated setting just five minutes from the white sands and calm, crystal blue waters of Mauna Lani Beach. Ke Kailani oceanfront community, situated along the perpetually sunny Kohala Coast, in the exclusive Mauna Lani Resort community. Ke Kailani is exclusively represented by Hawaii Life. To learn more about this opportunity to design and build a custom home or project, check out our recent posts. If you’d like to learn more about Ke Kailani’s flexible design guidelines, streamlined building process and Ke Kailani’s compelling purchase opportunities, please contact Carrie Nicholson R(B), BIC at carrie@HL1.com, or by phone at (808) 896-9749.